We have recently carried out a valuation exercise on a large part of the total stock of a medium-sized housing association that involved individual valuations and appraisals of over 2,500 properties scattered across the North of England. This was logistically quite demanding, but the end result was a report that was extremely helpful to the client and has enabled them to understand their stock so much better. 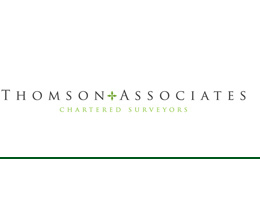 We have acted for this particular client for many years and also give day-to-day advice on matters such as development appraisal of sites and refurbishment possibilities. Valuation for social housing purposes has developed very quickly over the last ten years and we are up-to-date with the latest approaches in order to help clients. This is particularly key on purchase, where grant rates are now so much less than they were and even a small adjustment on either purchase price or end value can make a big difference to the success or otherwise of the scheme. Since the new grant regime was heralded and the concept of affordable rents (80% of Market Value) introduced we have given a great deal of advice on likely market rental levels where associations have stock, how these might be valued in a sensible way and what the prognosis is. The rental market is certainly increasing, as are rents in some, but not all, areas. Housing associations have been giving very serious consideration and taking proper advice on rental levels and how to analyse these and likely turnover etc. We have developed quite a body of knowledge on this.